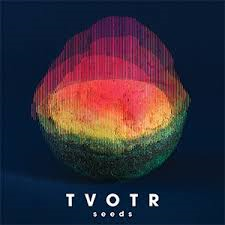 Having never been acquainted with TV on the Radio until now, I went in to their fifth album Seeds with no assumptions or expectations. Obviously I’d heard of the band, but aside from knowing they were part of the New York art-rock scene, they remained a mystery to me. Going in to a review blind isn’t always the best possible approach either, but neither are preconceptions, so with a blank page in front of me, I pressed play. After one play through, Seeds, which takes its name from the chorus of the eponymous closing track, showed itself to be a delightfully inoffensive affair, with little to make it stand out as anything more than a solid if not somewhat familiar, indie record. After several listens however, it begin to reveal itself as sharply produced record that subtly segues from aesthetic to aesthetic with not so much a flippancy, but more a pluralism, built not around a sole theme or concept, but the singularity and individuality of the tracks contained therein. Following on from the death of bassist Gerard Smith, Seeds isn’t concerned with breaking boundaries, or challenging fans’ ideas of what the band are about, but an affirmation that they are very much still here, and very much still relevant. Take ‘Test Pilot’ for instance, sandwiched in between the upbeat fuzz of ‘Happy Idiot’ and synth-driven ‘Love Stained’, it’s a track which, upon first listen, is such a sleek and subtle offering that it often fades in to the background, especially given its positioning. Repeat listens however, solidify it as one of Seeds’ strongest if not most understated tracks. Though there is little more than a loose thread of narrative woven throughout, there are several times in which the band find themselves musing on the idea of relationships, both the positive and negative sides. Second track ‘Careful You’ for example, has been cited by singer Tunde Adebimpe as being a prime example of this; the track’s lyrics being delivered in both English and French outlining both the positives and negatives of such relationships within a singular track. For those looking to get in to TV on the Radio, Seeds probably isn’t a bad place to start, though already-established fans of the band are likely to find little out of the ordinary (ordinary, at least as far as TVOTR are concerned). What Seeds does offer though, is 12 tracks of deftly produced and expertly executed art-pop that shines for the most part, and suffers only slightly through its short-lived lesser moments; a gateway album to a band who have almost certainly put out stronger material but, all things considered, have managed to craft a record that encapsulate exactly where they are in 2014.